Also, all the bad guys/gals and special effects and whatnot were a joke. Father Faustus Blackwood was so goofy for a “bad guy” (which personally made me feel like it detracted from the show’s “gravitas”… lol). Even the “Dark Lord” himself (Season 2 Spoiler Alert) looked like a discount Ian Somerhalder (I can totally see them calling him up for the show and he’s like “nah, pass” and so they get the next best thing, which was a discount version of him, lol). Honestly, most of the show came across as “try-hard” and sub-sequentially corny. I mean… da’ heck was that Maypole scene (with the music and all) in Season 2? 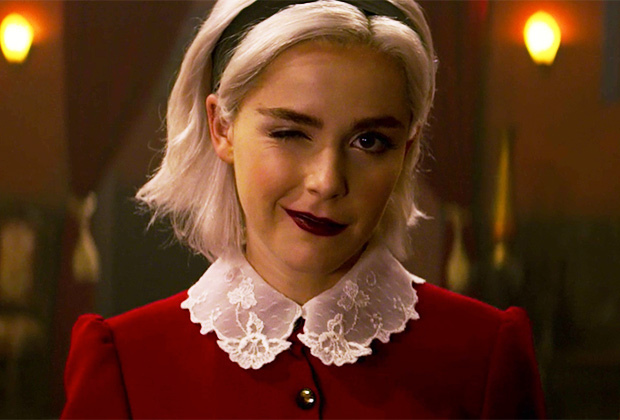 Guys, stop trying to be “edgy” like Riverdale (which is my go-to “golden standard” of super-dumb-teen-shows, forever more) and just go with a different direction (God knows there’s plenty of potential here). With that being said, I like how Season 2 ended (totally morphing into another show called Supernatural lol). – I love, love, love the fact that we can’t actually hear Salem the cat talk. Much appreciated! It would’ve been awful otherwise. – The phrases they use in the show (such as “for Satan’s sake” and “your unholiness” and “your dishonors” etc…) are silly, but they made me giggle! I kept getting a kick out of it! – Ever since discovering him while reading The Importance of Being Earnest for English Class in the 9th grade, I’ve always worshiped Oscar Wilde (the man was hilarious!) so the fact that they actually included Dorian Gray as a character in the show, delights me to no end! Way better than Riverdale (reviewed here) and obviously way better than Charmed (reviewed here), but not better than The Order (reviewed here). I’m still down for watching Season 3 though, but if it never comes out, I won’t lose any sleep over it. You want chilling? I’d suggest watching The Haunting of Hill House (reviewed here). Now that was an awesome show! 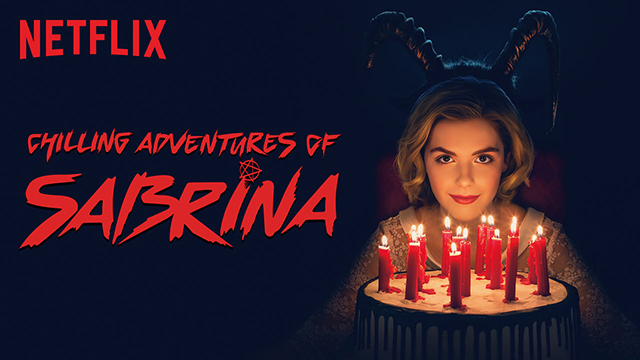 Chilling Adventures of Sabrina was enjoyable but not a “must-see”. Ya’ feel me? Yeah you do.